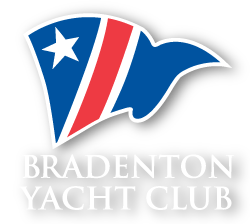 Since the Club's establishment in 1946, the success of the Bradenton Yacht Club is a direct result of the dedication and caring of our Members and Founding Fathers. We are truly one of the friendliest clubs you will visit and our volunteer members and staff work hard every day so we can have a very special place to enjoy. Our objectives remain strong; we are a club that will promote boating, safety, and social activities for the enjoyment of boaters, and preservation of the waters of Manatee County. The affairs of the Bradenton Yacht Club are managed by the following Board of Directors which is composed of the Executive Officers and Board of Directors.